A sweeping, threaded narrative of the global phenomenon known as the Vampire Wars! Mankind is silently infected by a millennia-old bacteria unknowingly exhumed by a scientific expedition in Antarctica. Now, in some rare cases, a person's so-called "junk DNA" becomes activated, and depending on their racial and ethnic heritage they begin to manifest one of the many diverse forms of the "others" that are the true basis for the legends of supernatural creatures. These aren't your usual vampires and werewolves - it goes much deeper than that. 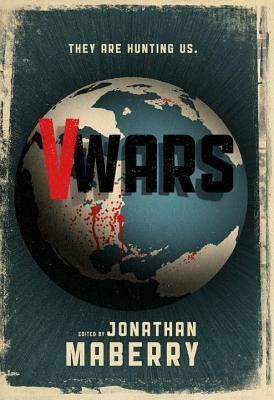 Conceived by Jonathan Maberry, V Wars features stories from various "frontlines" as reported by such contributors as Nancy Holder, Yvonne Navarro, James A. Moore, Gregory Frost, John Everson, Keith R.A. DeCandido, and Scott Nicholson (as well as Maberry himself). The result is a compelling series of tales that create a unique chronicle of mankind's response to this sudden, hidden threat to humanity.